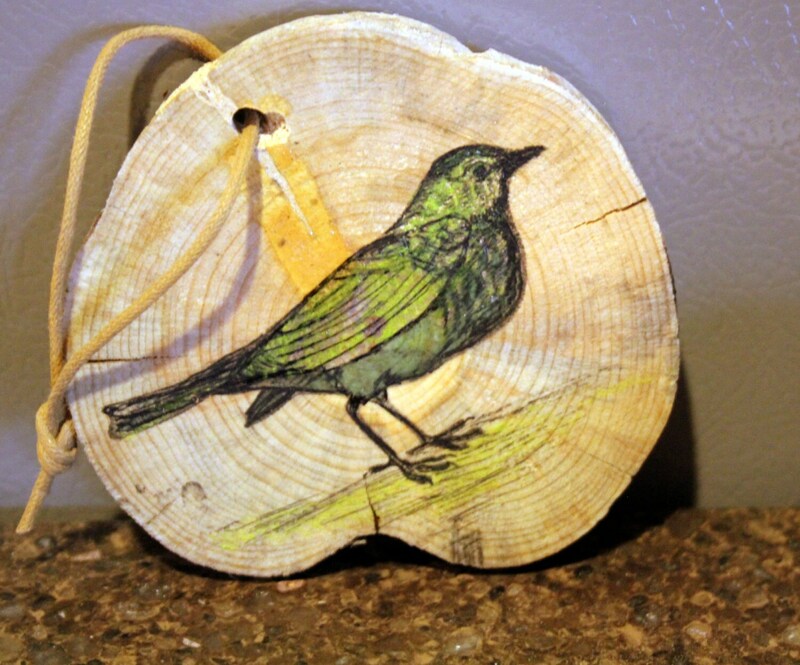 This is a hand painted portrait of a green bird. I used a combination of acrylic paint and Prismacolor pencils. The wood has gently fluted edges that are natural to the larch tree when a branch is sliced. The natural colors and little organic happenings can clearly be seen. The round is about 4 inches in diameter and is hung from a soft brown Chinese cord. 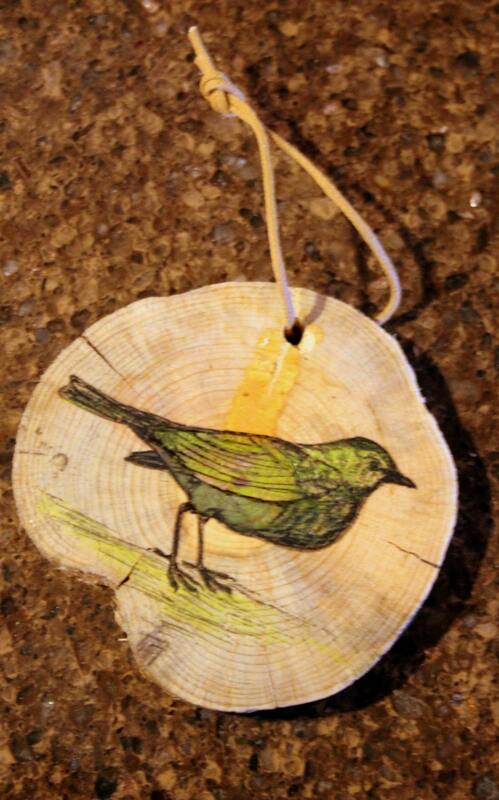 This little bird is light enough to be used as an ornament or hung on the wall. The wood slice is sealed with acrylic varnish. Comes shipped in gift box. Copyright © 2000-2016 and beyond belongs solely to the Moon Cradle Studio. The content herein, including but not limited to, all intellectual property, designs, materials and the selection and placement thereof in such designs, copy, text, photography, listing format and content is the sole and exclusive right of the Moon Cradle Studio and any attempt to copy or reproduce any of such designs, copy, text or content, by any means, electronic, manually, visually or otherwise is prohibited by law and all infringements, intentional or otherwise, shall be prosecuted to the full extent of the law.